ROME - Serie A's top scorer Ciro Immobile and goalkeeper Thomas Strakosha have both extended their contracts with Lazio until June 2022, the Italian club confirmed on Saturday. Italian international Immobile has scored 11 goals in the top flight this season, in addition to two in the Europa League and two in the Italian Super Cup, as the capital club sit joint third in Serie A, five points adrift of leaders Napoli. The 27-year-old Immobile has extended his current contract by a year after joining from Sevilla in 2016 on a deal worth an estimated 9.45 million euros ($11.1 million). The striker will earn about 2.5 million euros more per year -- linked with goals scored and team bonuses -- according to press reports. Since his arrival in Rome, Immobile has scored 41 goals in 52 matches and is also the top scorer in the calendar year in Italy with 25 goals, one more than Napoli's Dries Mertens and two more than Roma's Edin Dzeko. Strakosha has been with Lazio since 2012 and was rewarded after playing a key role in their victory at Juventus last weekend. The 22-year-old Albanian saved a Paulo Dybala penalty as Lazio ended the Turin club's two-year unbeaten record at home. Lazio host Cagliari in Serie A on Sunday after continuing their winning run in the Europa League with a 3-1 victory at Nice. "We have had two magnificent months but the difficult part is now and there is a lot of road ahead," said coach Simone Inzaghi. Serie A's top scorer Ciro Immobile and goalkeeper Thomas Strakosha have both extended their contracts with Lazio until June 2022, the Italian club confirmed on Saturday. 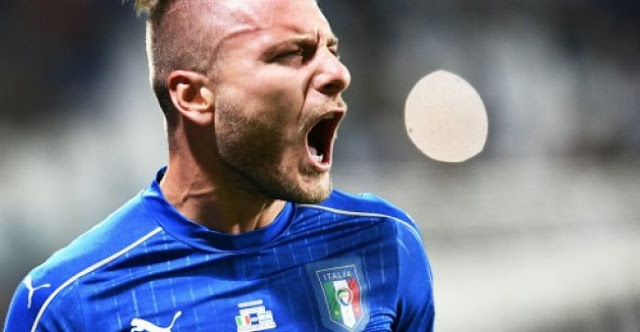 Italian international Immobile has scored 11 goals in the top flight this season, in addition to two in the Europa League and two in the Italian Super Cup, as the capital club sit joint third in Serie A, five points adrift of leaders Napoli.